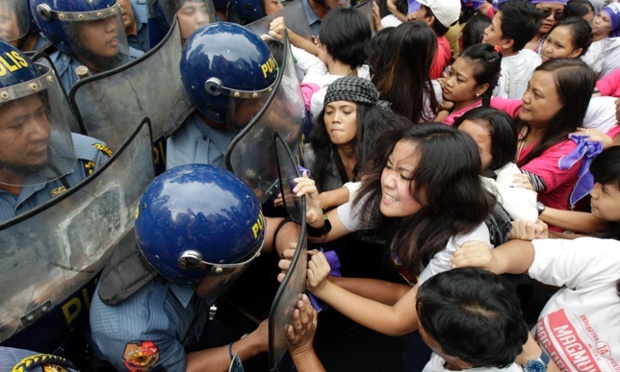 Thousands to protest government spending in Manila, Philippines, Aug. 26. Expect heightened security, localized traffic disruptions. Violence unlikely. This alert began 22 Aug 2013 20:56 GMT and is scheduled to expire 26 Aug 2013 23:59 GMT. Thousands of people are expected to participate in a mass demonstration in central Manila Aug. 26 against alleged misuse of discretionary funds by the government. Protesters are planning to gather at Lawton Plaza (Liwasang Bonifacio) around 0900 and will begin marching to Rizal Park (Luneta Park) at approximately 1000. The groups will then rally at the park until around 1400, before proceeding to the President’s Office in the Malacanang Complex. The demonstration is loosely organized, but several large civic groups have called on their supporters to join the rally in an effort to reach 1 million participants. Security will be extremely tight in central Manila during the demonstration, especially as protesters march to Malacanang, but violent unrest is unlikely. Police will likely block several roads to accommodate the protesters, and overcrowding is possible on public transportation in the hours before and after the rally; expect localized transport disruptions in the Ermita, Intramuros, Paco, and San Miguel areas of Manila. Opposition to the Priority Development Assistance Funds (PDAF), discretionary money used for social projects by politicians, has grown immensely in the past few weeks amid allegations that a Filipino businesswoman misused funds provided to non-governmental organizations (NGOs) operated by members of her family; the NGOs were frequent recipients of PDAF money. Protesters claim the incident is indicative of a government spending system that is corrupt and opaque. It is unclear if the demonstration will reach 1 million protesters; however, tens of thousands are likely to participate in the event. Allow additional time for travel in central Manila Aug. 26. Use alternate routes if planning to travel through affected neighborhoods. Limit exposure to all demonstrations and rallies, especially those near the Malacanang Complex. Follow the instructions of security personnel.